About Us – Luxury Vacation Homes, Inc.
ABOUT LUXURY VACATION HOMES, INC. Luxury Vacation Homes, Inc. is a Hawaii corporation specializing in the Hawaiian Islands. We have been in business and on the island of Oahu in Honolulu since 1997 (previously dba Villa Network of Hawaii). Luxury Vacation Homes, Inc. is a member of the Better Business Bureau of Hawaii with an A+ rating, a licensed State of Hawaii Travel Agency, and a member of IATA. We like to get to know our guests, in order to help them find the perfectly matched house. Our goal is to provide you with the best customized vacation, so we do not use an automated reservation system. Since changes in availability and inventory occur frequently, all booking requests must be reconfirmed for each home, prior to a reservation. Many properties are not air-conditioned. Most home swimming pools and spas do not have a separate child-proof security fence surrounding the immediate pool/spa area. Virtually all beaches are public; there are no privately owned beaches. Ocean swimming has inherent risks; take proper precautions, never swim alone and always consult local authorities before swimming. June through October is hurricane season. Most oceanfront and near-ocean homes are in storm surge and/or tsunami inundation zones. Even with diligent pest control, properties in the tropics may still experience a modicum of ants, roaches or other pests. Most properties have a standard 7 to 30 night stay minimum requirement depending on season and zoning restrictions. A few villas do accept shorter bookings and some will accept shorter stays during low season only. Unless otherwise noted in an individual property description, all homes and villas offered for rental are fully equipped with linens, towels, dishes, flatware, kitchen utensils, telephone, TV, DVD, stereo, microwave, coffee maker, dishwasher, washer and dryer, iron and ironing board, BBQ and ceiling fans. Be sure to check individual property descriptions for other specifics and to learn about any amenities or any potential hazards which are important to you. Some properties have a varied seasonal rate structure while others have only standard and holiday rates. Low season rates (if available) generally apply after Easter until 06/01 and after Labor Day until 12/15. Higher Xmas/New Year holiday rates generally apply from 12/15 – 01/15 and, in some instances, also to Thanksgiving and/or Easter weeks. Standard rates as shown in our listings usually apply to all other times. Rates are subject to change without notice before a Rental Agreement is issued. Please re-verify applicable rates, inclusions and terms when submitting a request for reservations. Rates include home or villa rental for the number of occupants stated on the individual description sheets and check-in orientation at the property. Other inclusions such as maid service and cleaning fees vary per property. Unless otherwise noted in the individual description sheet provided for each property, rates do not include local taxes, airport greeting, transfers, food, beverages, maid service, personal laundry service, departure cleaning charges or any other items or services that are not specified as included. Properties are rented for the occupancy and use of the number of persons as specified on the Rental Agreement. Extra occupants can result in extra charges or in rental termination. Parties, weddings, receptions, or other such activities which involve more than 6-8 non-occupant guests are not permitted at most properties. Luxury Vacation Homes, Inc. will issue a rental agreement for each booking that indicates the name and address of the property rented and the calendar dates reserved, what is included in the rate quoted, any charges additional to the rental rate and any terms or disclosures specific to that rental. The rental agreement supersedes all prior communications, whether written or oral; stated or implied, and it must be executed by the person(s) assuming financial and legal responsibility for the booking and for all other occupants and invited guests who will be using the rented property. A reservation deposit of 50% of the total rental and the signed Rental Agreement must be received within 24-48 hours of placing a reservation, depending upon the home and so indicated on the Rental Agreement, or the pending booking may be canceled without further notice. All rental charges, taxes, security/damage deposit and any additional charges on the Rental Agreement must be fully pre-paid 60-90 days prior to arrival date. Reservations made within 60 days of arrival will require full payment. Reservations made within 30 days of arrival will require full payment by cashier’s check or wire transfer. Failure to remit deposits and payments by the due dates shown on the Rental Agreement will make the reservation subject to cancellation and will result in forfeiture of deposits or funds previously paid. Credit cards (AMEX, Discover, MasterCard, VISA) are accepted for deposits and payments with an added service charge, however, in some cases, credit card payments may not be accepted for bookings made within 60 days of arrival. In addition to rental charges, most private villas and estates also require a refundable security/damage deposit. This deposit, less long distance phone charges, damages or excessive cleaning, will normally be refunded within 30-60 days after check-out. Some properties also require a major credit card guarantee. At many rental properties deposits and payments are non-refundable; at others, they are non-refundable unless written cancellation is received 61-91 days prior to the scheduled arrival date shown on the Rental Agreement. Cancellations received after the specified number of days prior to arrival will forfeit any deposits and funds previously paid. Pro-rata refunds (less a cancellation fee of 15-20% of the total rental) will be given by many properties if the canceled dates can be re-rented at an equivalent rate and length of stay. Trip cancellation insurance is strongly recommended. In the event a property should be sold or become unfit for habitation, and no equivalent substitute property is available, a full refund will be given for any unused rental time. The Luxury Vacation Homes, Inc. Rental Agreement will contain complete details about payment and cancellation policies pertaining to a specific property rented and to a specific individual booking. 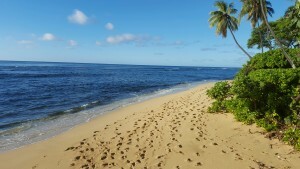 Luxury Vacation Homes, Inc. acts only as an agent for the various owners, managers, properties and service providers and DOES NOT own or manage any property nor does it have direct supervision of, or control over, property owners, local managers, and/or service vendors and accepts liability only as prevailing Hawaii law may deem consistent with its role as an agent and as specified in and limited by the terms of the Rental Agreement. Renter assumes responsibility for, and holds Luxury Vacation Homes, Inc. harmless from claims for loss or damage resulting from, or in consequence of, any and all “renter-accepted risk factors” disclosed herein and/or in the Rental Agreement. This General Terms, Conditions & Disclosures document is incorporated by reference into all Rental Agreements.